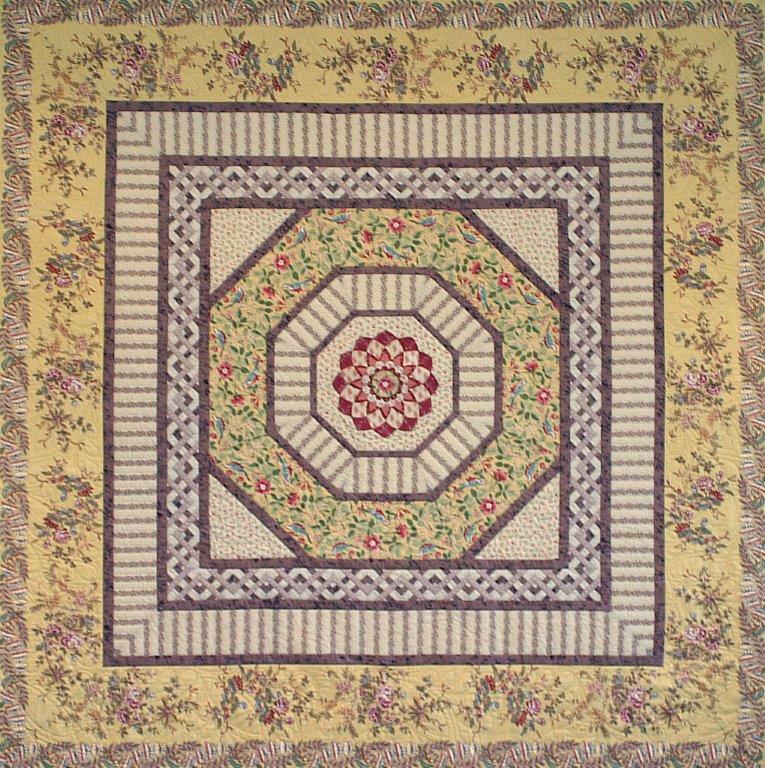 Medallion quilt with a machine appliqued Dahlia-style centre flower in an octagonal setting. The quilt features an intricate Foundation Pieced lattice border and a large feature border print fabric. The pattern includes all Foundation papers for the project.